Trees have a natural corollary in the human body. Standing up straight or leaning to one side, arms held tightly or outstretched, they seem to gesture or pose. In literature and film, trees have often been depicted as sentient beings, frequently as wise and passive witnesses of civilization. But unlike their mythical forest counterparts, the trees in this series were deliberately placed in planned spaces where they remain confined and on display. 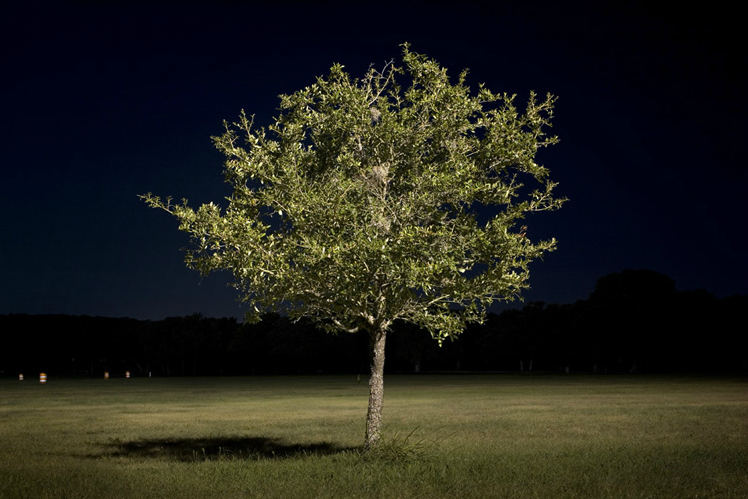 Against the backdrop of night and lit only by street lamps, these photographs isolate each tree from its surroundings and scrutinize its particular character like a portrait. Andy Mattern lives and works in Albuquerque, New Mexico. To view more of Andy's work, please visit his website.